The Ray Watkinson Archive is a significant collection of rare books focussing on art and design history, notably William Morris and the late nineteenth century. 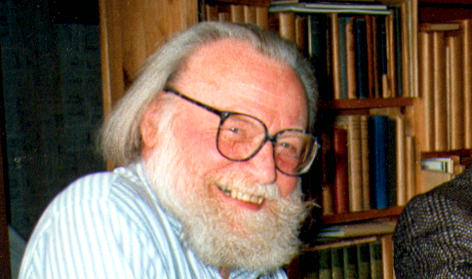 Following Raymond Watkinson’s death in early 2003 his unique personal scholarly Library was bequeathed to the University of Brighton where it is held as the Ray Watkinson Collection at the Grand Parade buildings. For many decades prior to his death, Ray lived in Brighton in a three-storey terraced house jam-packed with books, usually protected in brown paper covers, from top to bottom. Having taught at Brighton College of Art during much of the 1960s, he remained a keen supporter of the institution's commitment to excellence in the history and practice of art and design. His extensive collection of rare books, which stretches back over three centuries contains numerous first editions and embraces his wide-ranging art, design, scholarly and political interests. These included the writings of William Morris, Pre-Raphaelite art and design, and the work and lives of wood engraver Thomas Bewick and social commentator and fine artist William Hogarth. In the years leading up to Watkinson’s death the Centre for Research & Development, supported by the then Dean of Faculty Professor Bruce Brown, arranged for the cataloguing of his entire collection. Alongside this a number of meetings were heldbetween Ray Watkinson and members of Faculty staff to discuss future arrangements for his book collection, often over a cup of tea or something stronger at his house in Tidy Street, Brighton, where he had lived for many of his later years. In coming years, research bids will be submitted to take the Raymond Watkinson Archive further, researching and disseminating its significance as a research library of a scholar and collector of national importance and seeking to interrelate it digitally with the holdings of the University of Brighton’s specialist art and design library and the Design Council and F H K Henrion research libraries held in the University of Brighton’s Design Archives at Grand Parade. During his career as an art and design historian, typographer, illustrator, designer, exhibition curator, critic and political activist, Watkinson was most widely recognised for his work on socialist and designer William Morris. The latter was pivotal for Watkinson who helped establish the William Morris Society in 1955, edit its journal and become President in 1991. His enthusiasm and scholarship led to Trusteeships of the William Morris Gallery, Walthamstow, and of two key locations for Morris’s design activities: Kelmscott House, Hammersmith, and the Red House, Bexleyheath.Watkinson’s major books included William Morris as Designer (1967) and Pre-Raphaelite Art and Design (1970). Manchester born, Watkinson attended Stretford Grammar School and Manchester School of Art. Throughout his career he was politically active, whether participating in workers’ theatre, campaigning for Aid for Spain in the 1930s, writing as art critic of the Daily Worker, being a member of the Communist Party’s Hogarth Club or, somewhat later, becoming Chair of the Marx Memorial Library.His membership of the Communist Party lasted throughout his working life. After a period of the Second World War as a technical draughtsman in the Avro aircraft factory in Manchester, Watkinson continued to produce artwork for the Communist Party in the post-war years, as he had in the 1930s. He comfortably combined political commitment with research and wider cultural dissemination as evidenced by publication of an essay on illustrator and supporter of Radicalism, Thomas Bewick, for the Communist Party’s series Our History in 1962 and a subsequent public lecture on Bewick as part of Brighton College of Art’s contribution to the first Brighton Festival in 1967. Following other academic posts, Ray Watkinson came to Brighton College of Art as an art historian during the 1960s, a decade that witnessed the radical reshaping of art and design education under the influence of Summerson and Coldstream and the student occupation of 1968. His extra-curricular activities included trips with groups of Brighton students to attend the Communist Art School in London.He was involved in the art student sit-ins at Hornsey, Guildford and Brighton in 1968 and, following his resignation in 1969, worked at the London College of Printing and Goldsmith’s College where he became Deputy-Dean.